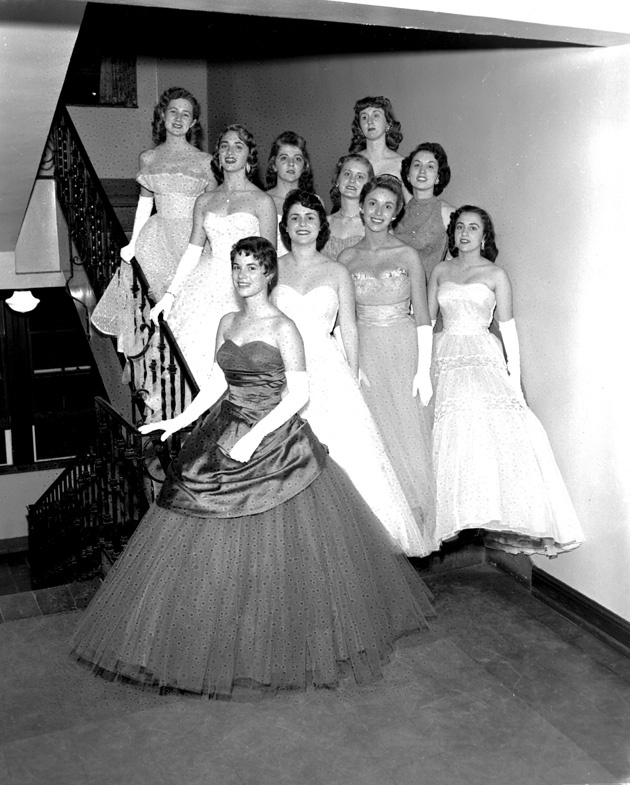 ﻿ 10 women in evening dresses pose on a staircase. 10 women in evening dresses pose on a staircase. 10 women in evening dresses posed by a stair. Photograph 4639 from the University Archives Photograph Collection.